Carbon fiber is a fibrous filament that obtained by heating organic materials, the major part of which is carbon, in the inert gas environment. 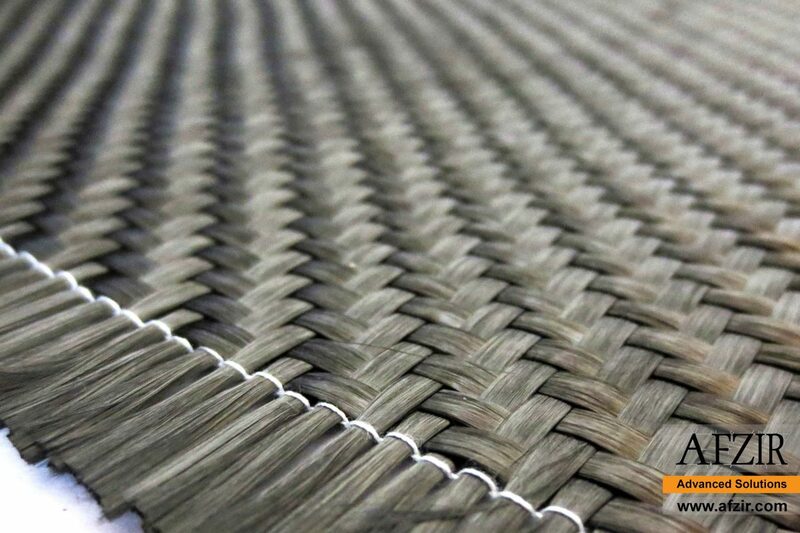 Carbon cloth or carbon fabrics referred to as carbon wrap or carbon fiber wrap, which at least contains 90% carbon, is obtained from specially controlled fiber pyrolysis. Black carbon fiber is non-solvent in water and odorless and has a very high resistance to corrosion, such as acids, openings and materials. Carbon fiber-reinforced polymers (CFRP) usually are made of two types of carbon wrap (carbon fiber cloth or carbon fiber fabric). In the first one which is known as unidirectional carbon wrap, the carbon fiber is parallel to zero-degree orientation and the second one is the bi-directional carbon wrap, in which carbon fiber is placed in two directions, zero and perpendicular to it (90 degrees). 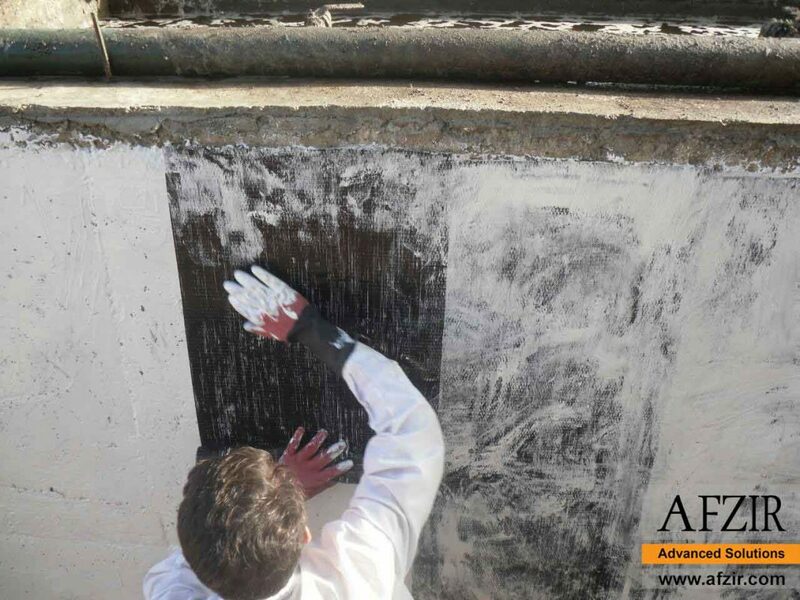 Carbon wrap is used in many areas such as building retrofitting, defense industries, automotive, and many other important industries. The carbon fibers used in making carbon wrap are usually added by elements such as epoxy resin and FRP Thixotropic epoxy adhesive to load carrying components of the structure and improve the shear, bending and moment capacity of the members. Carbon fiber wrap has high heat resistance, which makes it categorized as non-explosive fibers. Carbon fiber mechanical properties such as the lightness and high resistance of these fibers have resulted in widespread use of them in the composite industry and seismic retrofitting of structures. One of the most important advantages of carbon fiber and carbon wrap, along with their light weight, is the high tensile strength of these fibers. Carbon fiber is one of the mostly used fibers in the retrofitting and composite industry. This fiber has the most tensile strength among other type of fibers (glass and kevlar fibers). The linear thermal expansion coefficient of carbon fiber is very low at high and low temperatures, which causes the dimensional stability of the carbon wrap at different temperatures. Among the various advantages of carbon fiber (and subsequently carbon wrap), the most prominent are tensile strength and light weight (carbon is about one third of the weight of steel and 5 to 10 times that of its resistance). In addition, carbon fibers have good resistance to fatigue. The durability and long life against chemicals and impermeability against x-rays is one of the most prominent properties of carbon fiber. Also, carbon wrap has excellent electrical conductivity, and the texture and fabricability of fabrics, the fabrication of lightweight composite and solid CFRP, and its heat resistance, distinguishes it from other engineering materials. Carbon fiber is an element of density 2,27 g / cm3 and has different crystalline forms. 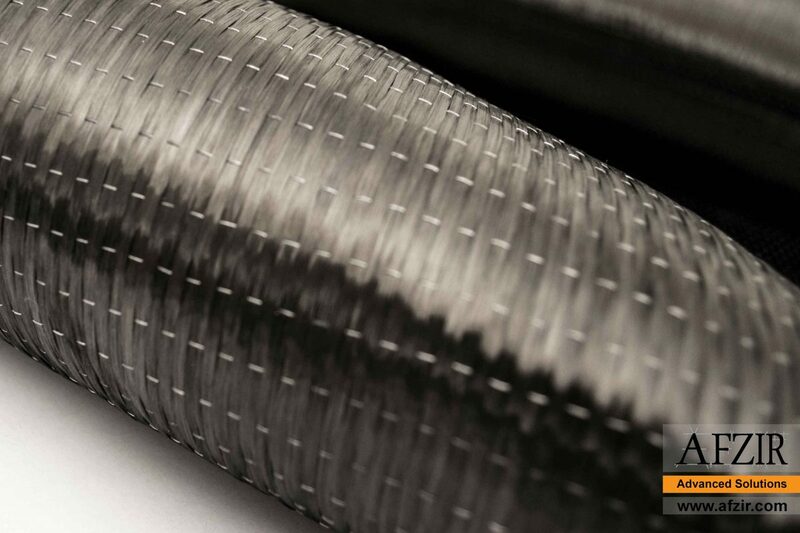 The carbon wrap formed from carbon fiber is far thinner than human hair in a diameter between 6 and 10 micrometers. The high price of carbon fiber is due to its high long life and providing high resistance to structural members over time, cost-efficient and economical aspects. Carbon wrap (carbon fabric) and fibers are offered in different tensile strengths and modulus of elasticity with in unidirectional and bidirectional fabrics by Afzir Company according to the needs of different industries in the zone. The carbon wraps (carbon fabrics or cloth) are offered in a wide range of fiber types from 3K to 50KK, with different weights and widths. Carbon fiber is usually classified based on the number of its filaments, tensile strength, elastic modulus, and the final temperature of the heat treatment in its manufacturing. Based on the number of filaments, the carbon wraps are classified into small or lightweight tow with less than 24,000 filaments, and large or heavy tow with more than 24,000 filaments. Carbon wraps are classified according to the mechanical properties of their fibers in very high modulus of elasticity carbon wrap (greater than 540 GPa), high modulus of elsticity (350-450 GPa) and moderate modulus of elasticity (250-350 GPa) carbon wraps. And also, high strength high modulus of elasticity (over 540 GPa) carbon wrap and high strength low modulus (tensile strength greater than 3000 MPa and modulus less than 2000 GPa) carbon wrap and cabob fiber wrap with very high tensile strength (more than 5000 MPa). Also carbon wraps are classified based on the matrix type to carbon wrap based on acrylic fiber (polyacrylonitrile), carbon wrap based on industrial bitumen, carbon fiber wrap on the meso phase bitumen, isotropic bitumen fiber, carbon fiber based on Rayon Viscose Fiber ( Artificial silk) and carbon wrap are based on the gas phase. In total, carbon wraps can be divided into two categories: synthetic carbon fabric and bituminous carbon fiber wraps. Synthetic carbon wraps are based on synthetic fibers, known as polyacrylonitrile (PAN), are very resistant (more than 3700 MPa) and subsequently but the price of this type of CFRP is expensive. Bituminous carbon wrap, which is obtained from coal distillation, is cheaper than PAN, but less resistance and modulus of elasticity. Finally, carbon fibers are classified into MH fibers (heat treatment temperatures above 2000 degrees Celsius), SH fibers (about 1500 degrees) and TH (low temperature to less than 1000 degrees with low strength), based on the final temperature of the heat treatment. Light weight, high strength, high modulus, anti-corrosion, and conduction. 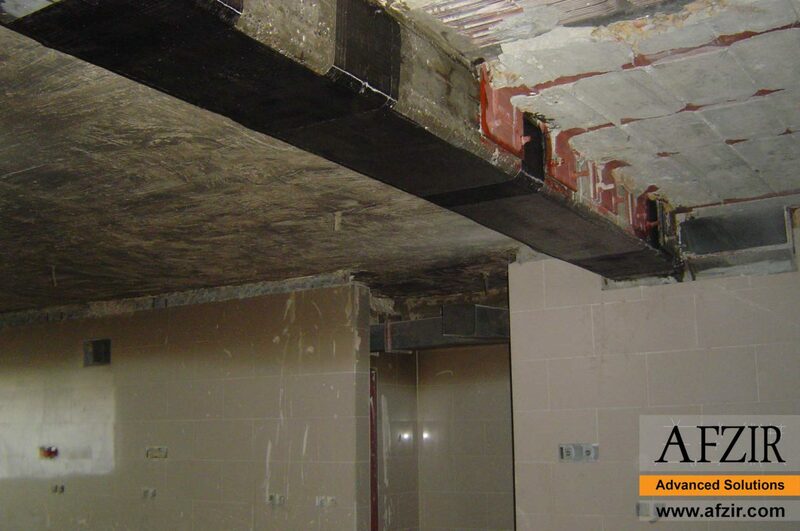 Strengthening of building and reinforcement of structures with CFRP composites, making plates, sheets and carbon FRP laminates, reinforcing fibers of high strength concrete, construction of high strength carbon fiber walls, construction post-tensioned CFRP structures in concrete structures, and use in the inner walls of the tunnels. Carbon fiber properties has made CFRP laminate a unique product. Carbon-fuel tanks for automobiles, carbon fiber car shields, transmission shafts, engine parts, shock absorbers, wheel accessories and steering wheel boxes, brake pad, racing car body, body hulls, bushings and etc. Structural components of satellites, internal structures of passenger planes, including carbon seat panels, carbon panels and other carbon coatings, tip ultrasonic planes, sensitive parts of aircraft engines and etc. The manufacture of carbon fiber medical equipment, carbon fiber wheelchairs, synthetic bones and all kinds of body parts and etc. Manufacturing turbine blades and windmills for power generation from wind energy, manufacturing of fuel cells and etc. Application of carbon wraps in the electrical equipment industry, electronics and machinery. Carbon wrap made gearwheels, carbon wrap made rollers, high speed carbon wrap made gearwheels, self-lubricating parts, carbon wrap made aerials, carbon wrap made pressure containers, cellular frames and etc. Oxidation Stabilization Phase: In this stage, the acrylic fiber is coexisted with the application of tensile oxidation heat treatment at a temperature range of 200 to 3000 ° C.
Carbonization phase: After the oxidation stabilization phase, the fibers are subjected to thermal treatment of carbonization without applying stretching in a temperature of around 1000 ° C in a neutral environment for a few hours. Graphitization Phase: According to the type of considered carbon fiber, in terms of the modulus of elasticity of CFRP, applying this step in the temperature range of 3000 – 1500 degrees Celsius, improves the orientation of the carbon crystals in the direction of the axis of the fiber that eventually leads to enhanced CFRP mechanical properties. The process of producing CFRP carbon fibers based on other backgrounds is similar to the above-mentioned steps. The structural properties of CFRP are further investigated by electron microscopy and X-ray diffraction. In the manufacture of polyacrylonitrile-based CFRP, the structure of the fiber during the oxidation stabilization operation and subsequent carbonization changes from the linear chain structure to the plate structure. The stronger the tensile strength of the background fibers, the higher tensile properties of the composite CFRP will be achieved. If the stabilization step is appropriate, the tensile strength and elasticity coefficient with traction carbonization will be greatly increased in the final carbon fiber product. In total, the final strength and failure of CFRP are related to the type of underlying fiber, process conditions, temperature of thermal operation and structural defects in the fibers.